KMC, the country’s largest flexible workspace provider, opened their newest (and largest) flexible workspace at Cyber Sigma, providing five (5) unique startups with coworking space and business mentorship programs in the process. 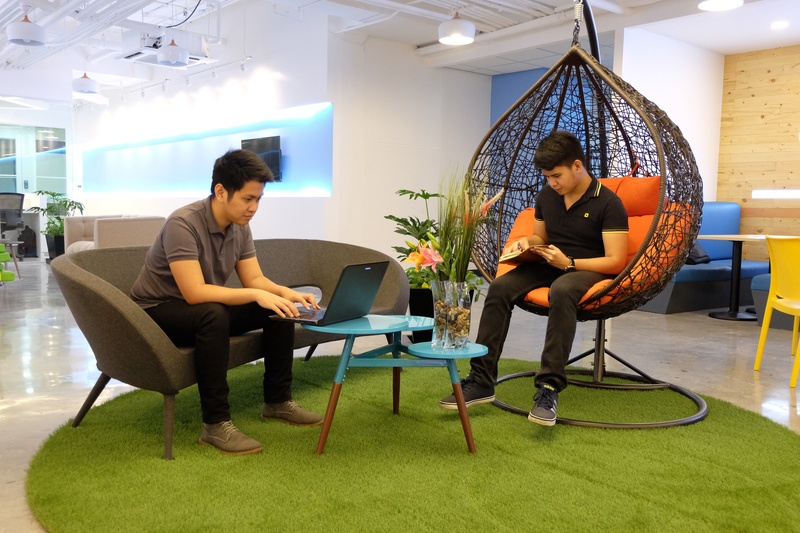 May 10, Taguig - KMC has solidified its place as one of the Philippines’ top flexible workspace providers. 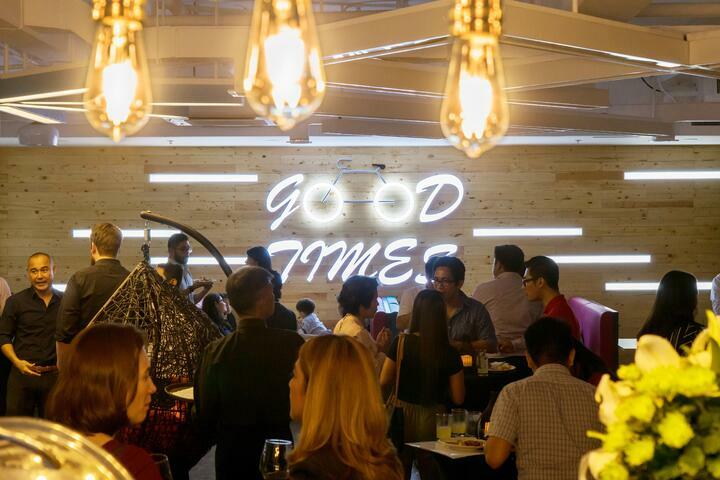 The company has unveiled its newest office space in Robinsons Cyber Sigma, the largest flexible office space in the country to date. In an unprecedented move, KMC retained their status as the provider of the country’s largest flexible office space after they opened their offices on the 19th and 20th floors of Robinsons Cyber Sigma, ousting their own workspaces at V Corporate Centre for that designation. The spaces at Cyber Sigma, which collectively make up approximately 7,000 sq m of office space, offer private offices and coworking space for both multinationals and startups that need quality workspaces. KMC’s flexible workspaces at Cyber Sigma offer a fully functional office environment capable of boosting employee productivity. Equipped with the latest biometric scanner technology along with magnet-lock doors, these spaces ensure safety in the workplace. The spaces also feature 3GBps fiber internet and new hardware that is maintained by 24/7 IT and administrative support teams. Aside from the advanced features of the workspaces, there are also amenities that contribute to increased employee satisfaction and efficiency. The flexible offices at Cyber Sigma possess spacious pantries on both the 19th and 20th floors with an open-area setting that complements a colorful ambiance. 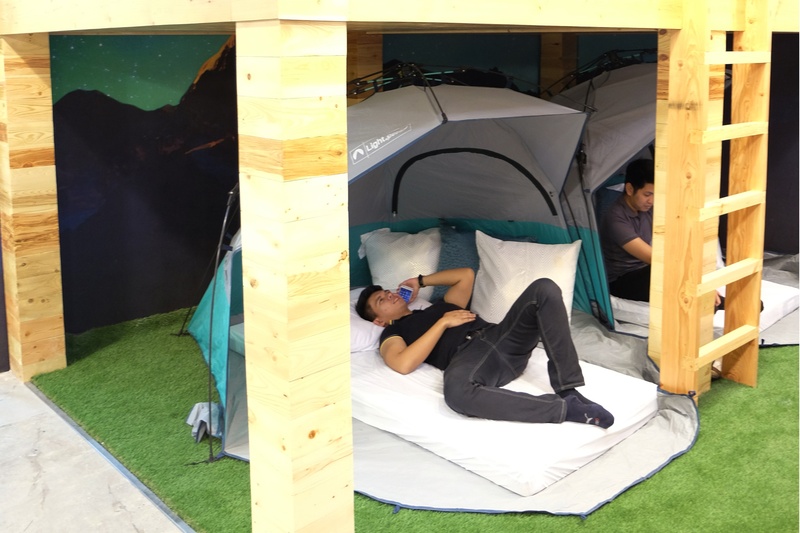 There are also sleeping quarters and napping areas, as well as a gaming area where employees can unwind. Behind the launch of Cyber Sigma’s workspaces lies a deeper meaning. KMC’s vision and mission both address the importance of helping companies grow in a bustling market like the Philippines. As the company continues to provide quality office space and staff augmentation services, KMC is bound to create lasting change for more companies entering the Philippine market. Gregory Kittelson and Michael McCullough, two of KMC’s co-founders, both stress the importance of the company’s growth in the next five to ten years. Gregory Kittelson, KMC’s chairman, addresses the fact that any company will face challenges along the way, and it’s how management responds to these difficulties that ultimately determines a company’s growth. 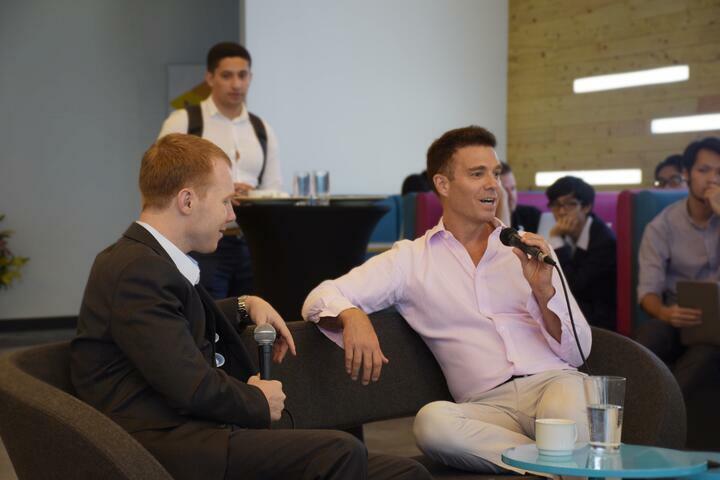 “We’ve learned from both micro and macro mistakes in the past, and have grown organically from those lessons”, he said, noting how overcoming those obstacles led to KMC becoming the largest coworking space provider in Southeast Asia. On the topic of Space for the Ingenious, both co-founders said that it was a way to give back to the community. Michael McCullough, managing director of KMC, talked about how the program impacts the contestants. “We’ll impact their growth in a six month window, after which they’ll have to graduate”, he said, stating that KMC can help further after that timeframe with valuation. During the launch of the workspaces at Cyber Sigma, KMC also hosted the finale of the Space for the Ingenious program together with Impact Hub Manila. 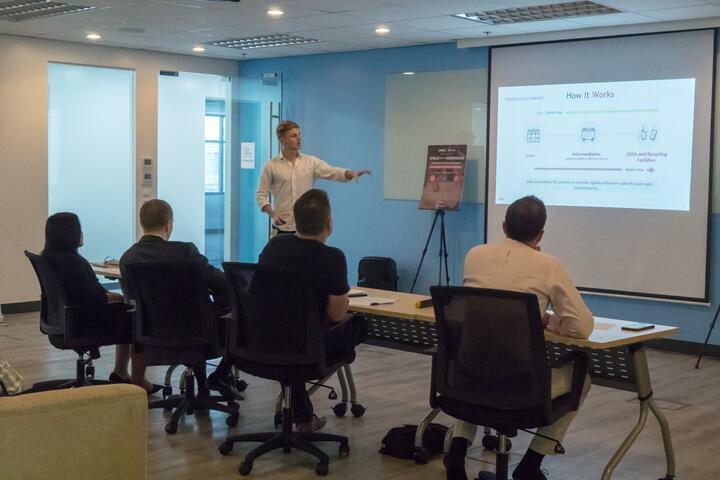 The goal of the program was to provide innovative startups with coworking space and business development mentorship programs to help selected startups flourish. 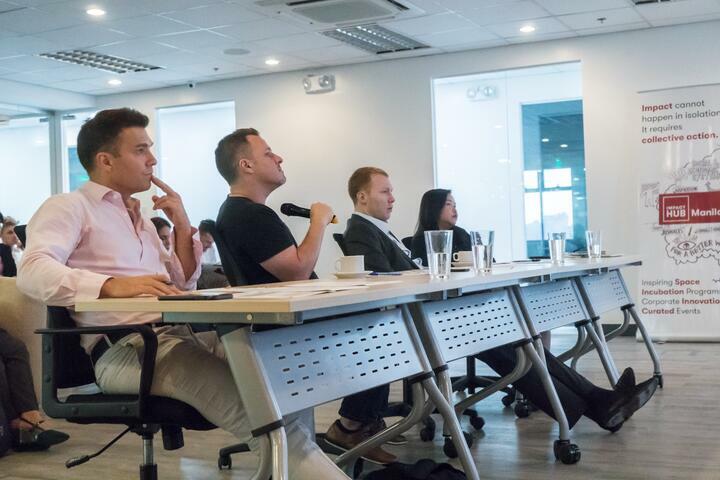 There were nine startups present at the event, each one presenting a unique business proposition: HypexAve, Pushkart.ph, Empowered Clubhouse, Solu, PanggaHealth (HopePH), FundLokal, PatientFirst, CM&ME, and Cryptors Cybersecurity. Solu, another one of the finalists, has one of the most impactful business propositions. Solu is an app that directs users to waste centers that pay for segregated waste. The waste material is then readied for sustainable treatment or recycling. Another app-based startup that made the top 10 is PanggaHealth (HopePH). The app acts as a mobile support group for people with depression, giving them easy access to a network of support teams, facilities, and information that deals with depression. Patient First is another startup that puts a premium on health. The app acts as a one-stop shop for people in need of medical assistance. Through Patient First, users can easily set medical appointments, search for nearby hospitals, and even receive medical advice through an AI-powered chatbot. Empowered Clubhouse, a boxing gym and fitness studio exclusively for women, was another health-centric startup that made the cut. The startup creates different activities, as well as offer access to a wide network of resources, for their members in order to foster “healthy happy” lives. Cryptors Cybersecurity is a company with a strong anti-hacking advocacy. The startup is developing a mobile app that protects against information phishing and other types of hacking-related incidents. On the other hand, HypexAve provides sneaker collectors with a one-stop shop for rare and legitimate shoes. Some of the sneakers they offer include Air Jordans from the last decade, as well as Balenciaga and Yeezy. Pushkart.ph also made it as a finalist. Developed by Filipino millennials who understand the hassle of running to the grocery, the online grocery delivery service allows customers to add items to a virtual cart (similar to eBay) and have these items delivered right at their doorstep. The items on Pushkart.ph also feature the same, in-store prices. FundLokal gives investors an easy-to-understand investment platform that benefits farmers without access to capital. This two-way process allows the agricultural supply chain to stay afloat by providing capital to farmers. Meanwhile, CM&ME seeks to integrate LiFi (light fidelity) technology into the Philippines, where light is converted into data for internet use. 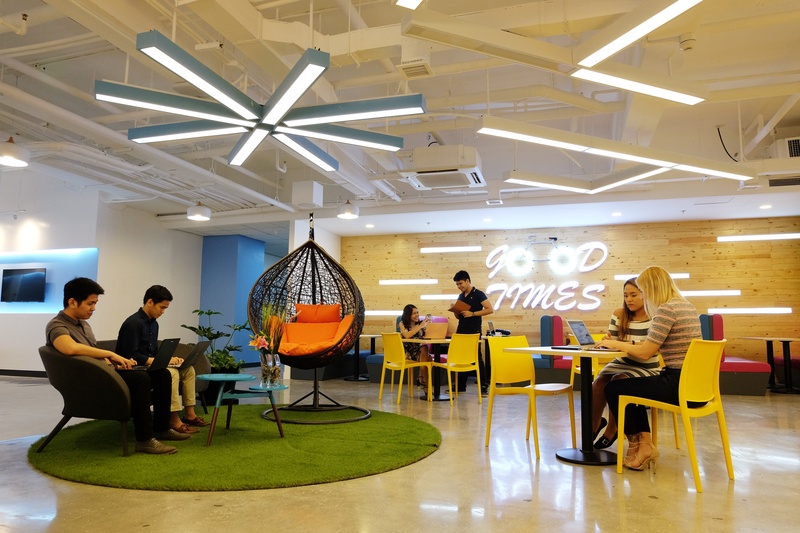 Pushkart.ph, Solu, HypexAve, Cryptors Cybersecurity, Empowered Clubhouse, and Patient First were chosen as the winners for the first ever Space for the Ingenious program, slated to receive free coworking space for six months plus business mentorship. KMC has also decided to renew Space for the Ingenious for a second round, which will then continue indefinitely. Two factors made this decision possible: 1. The overwhelming positive response from the startup community and 2. The large volume of applications for the event. If you’re a startup with an ingenious idea, our doors are still open. Fill out or update your application here. What are your thoughts on Launching the Country’s Largest Flexible Workspace and Celebrating Ingenious Startups? Let us know all about it. Mancie Silloriquez manages Workspace in Asia, the informational leg of KMC Solutions, a flexible workspace and staff augmentation firm. She is a woman of countless and varying interest—a graduate of Fine Arts and Design, inclined in traditional and contemporary art of different mediums, believer of life balance and productivity hence practices healthy and reasonable management, and an advocate of self-development.